The First Mythic+ Season Has Started! Mythic+ arrives today in the EU and has been live for a day in the US, with some pretty heavy issues encountered already. From players getting way too high keys to very high ilevel loot and a lot of artifact power coming in from weekly caches that were available for some players that did the +15 back in the final Legion week, the season may have had a rough start but it's still very exciting as it's the first of its kind. We quickly fixed the underlying issue that caused some players to receive high level Mythic Keystones. Deleting the key and running another Mythic dungeon will grant you a new Mythic Keystone. All the Method M+ players, both from the guild and our MDI teams are very excited about Battle for Azeroth's Mythic+ content, and can't wait to get started on those World Firsts. Really hyped that Mythic+ is finally out, going to be interesting to see if any team manages to do a +15 in time the first week! Long have we waited for a new era to begin. 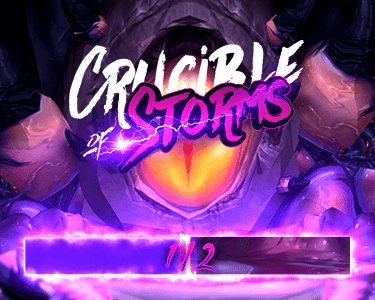 You can also check out Method MDI NA's Jdotb sharing some recommendations for Mythic+ Season 1 specs, best dungeons to run, as well as how each of this week's affixes affect each individual dungeon, in Wowhead's first BfA M+ Q&A!